Circus Imagination is a family owned and operated business that has been travelling around the west coast of the US for more than a quarter of a century. We take pride in teaching kids how to have fun in an old-fashioned way: far away from televisions and video-games! The main concept of this participatory show is helping children to use their imaginations and find their creativity. 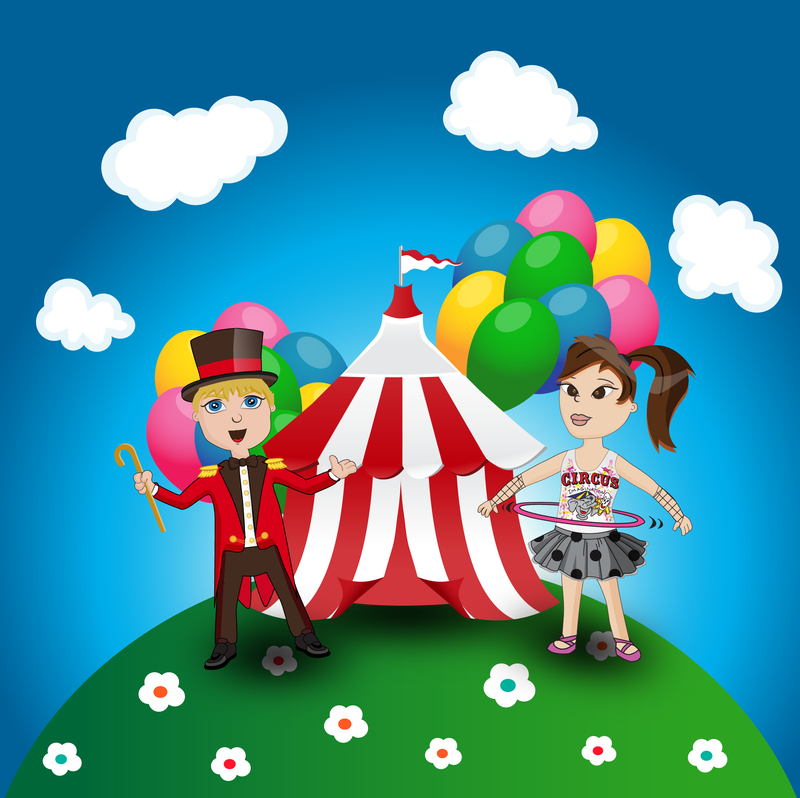 The show starts with the Ringmaster telling the audience a story about an old time circus, soon after they learn about the show acts, dress up, and are now ready to perform under their own Big Top. The circus starts with Tina the Tightrope Walker who climbs a make-believe ladder 100 feet in the air, followed by Sandow The Strongman, Clarence the Clown, Marco the Lion Tamer and his Ferocious Animals, Believe It Or Not, The Butterfly Ballet, Champagne Sisters, Dead Eye McBang the cowboy or Calamity Oakley the cowgirl, The Amazing Animal Parade and the final and most expected circus act is Zazelle, The Human Cannonball: a very lucky kid who gets picked to get shot out of a cannon. The show can take from four to forty kids, picked right out of the audience, so no rehearsal is necessary. They dress up in colorful costumes that drop right over their clothes and are invited to explore their senses of imagination, resourcefulness and creativity on the stage. The Ringmaster and Costumier explain the acts to the children ahead of time so when they get on stage to perform it’s all about having fun as the audience cheers with encouragement! The children are not the only ones captured by the show’s magic: the whole audience is moved by this captivating little circus, reassuring the kids with applause and enthusiasm on every single queue. “Now I know how to make my own circus in my own backyard,” a 7 year old girl said. Parents state being more than pleased with the idea of some face-to-face fun that regenerates the notion of educational and safe enjoyment away from screens and remote controls. Aiming to maximize their full creative potential by strengthening their confidences, the major triumph of Circus Imagination is still the fact that it does not end when the show is over. Its inspiration to play outside and use your inventiveness is taken home by every child.